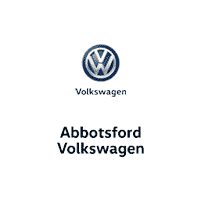 Founded in the early 1970’s, Northland Volkswagen Ltd has grown into the largest Volkswagen dealer in Western Canada. Northland Volkswagen has been recognized for high quality sales and outstanding customer service with various Wolfsburg awards. We currently hold the title as the number one volume dealership in Canada for five years running, and have received the Consumers Choice Award for a consecutive four years. Primarily attending to North Calgary, Airdrie, Cochrane and Canmore, Northland Volkswagen offers many different services to attend to your vehicles every need. Upon arriving to Northland Volkswagen, we offer you the opportunity to view the newest makes and models in our top quality showroom. Should you require it, we offer an easy to understand loan process for your good or bad credit. If your current Volkswagen is in need of some repairs, or just the classic tune-up, our Parts and Service Department is filled with professional and knowledgeable technicians ready to help meet your vehicle’s every need. We look forward to tending to your past, present and future customer needs. We are conveniently located at 4849 Northland Drive NW, Calgary, AB, T2L 2K3. Feel free to pay a visit to our friendly and personable staff, or speak to a representative over the phone. No matter what you need, Northland Volkswagen is here to help in any way possible. AutoCanada is one of Canada’s largest multi-location automobile dealership groups, currently operating 54 franchised dealerships, comprised of 62 franchises, in 8 provinces and has over 3,500 employees. AutoCanada currently sells Chrysler, Dodge, Jeep, Ram, Alfa Romeo, Fiat, Chevrolet, GMC, Buick, Cadillac, Infiniti, Nissan, Hyundai, Subaru, Mitsubishi, Audi, Volkswagen, Kia, Mazda, Mercedes-Benz, BMW, MINI and smart branded vehicles. In 2017, our dealerships sold approximately 63,000 vehicles and processed approximately 870,000 service and collision repair orders in our 999 service bays during that time.